This collection of intertwined stories boasts well-imagined characters and fresh imagery. 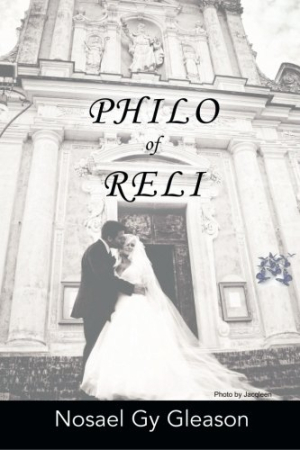 Individuals interested in the intricacies of philosophy, history, literature, and religion will find Philo of Reli, Nosael Gy Gleason’s collection of intertwined stories, to be a thoughtful and thought-provoking literary work. Both of its two parts, “The Philosophy of Passion” and “The Religion of Prudence,” are divided into entries, and each entry carries the name of a character as its title; several of the cast’s two dozen characters reappear in other stories. Together, the stories are as much chapters of a literary novel as they are an anthology of stand-alone short stories. The book’s inventive organization and captivating contents make it an intriguing read. Like the works of Anton Chekhov, who “got rid of plot in 1900,” as Gleason acknowledges, Philo of Reli focuses on characters. There is Demas, the bullied stutterer ridiculed as “Dumbass,” who loses his affliction in an unexpected fashion. None of the nursing staff knows the name of a musician who institutionalizes himself, but he continues to produce “music on the spot” for the other patients. And there is Dino’s Boston-born, bald Grandpa Curly with his sidesplitting story of the giant “lobstah” with the “deathly bluish-grayish colah to it.” All of Gleason’s characters are interesting and well-rounded, whether suffering marital abuse, debating religion, participating in a disintegrating marriage, or promoting the building of a children’s shelter. Of all twenty-five stories, “Steven” is the only one told in the first person. Although there is no traditional plot, each chapter has its own story line, and some stories are tied together with a common theme, setting, or problem. Some of the stories, including the superb “The Musician” and the equally good “Harriet,” are more complex and well-plotted than others. In contrast, “Deborah” has a superabundance of religious argument and historical documentation that disrupts the narrative flow of the story. There are multiple references to historical icons and events throughout the stories. Four pages of endnotes provide the sources for these items and identify the pages where they occur in the book. Each story title also carries a reference to citations from the Bible’s book of Proverbs, also listed in the book’s end pages. While fascinating end matter for scholars and the literati, general readers will probably ignore these entries as superfluous to the narratives. The cover art photo of a groom kissing his bride’s cheek is visually appealing. There are several typos and a misspelling of astronomer Tycho Brahe’s surname as “Brake.” Regardless, Gleason’s book is a rewarding read for the diversity of its characters, the consistency of their development, and the overall quality and freshness of the writing.